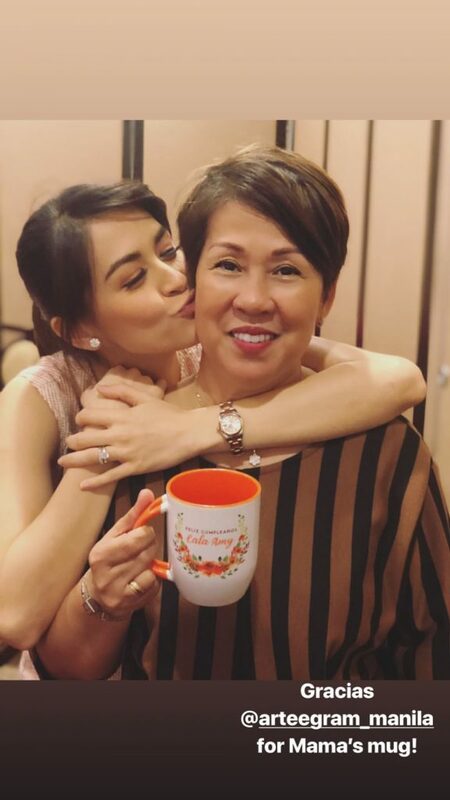 Marian Rivera’s Mom celebrated her birthday at Solaire Resort & Casino last night. Dingdong and Marian’s both sides of the family are present to celebrate her birthday. Most especially her Apo, Ate Zia. Zia calls her Grandma “Lala Amy.” Zia is Lala Amy’s first grandchild. Zia is very close to her Lala Amy. Whenever Marian has work, Lala Amy is the one who looks after her. 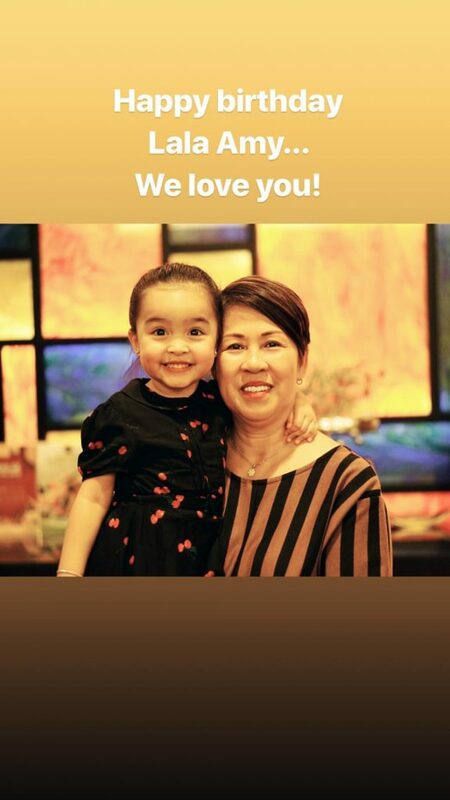 And so as her other Grandma, Dingdong’s Mom, Lala Angie. Here’s a cute photo of Zia with her Lala Amy. Here’s Marian and the birthday celebrant Lala Amy. And and here’s a clip of the celebration shared by Dingdong on IG stories. In other news, Marian recently attended SM Hypermarket’s Street Food Festival Grand Finale at SM Mall of Asia Music Hall. Fans got the chance to meet and greet Marian and took a photo with her.